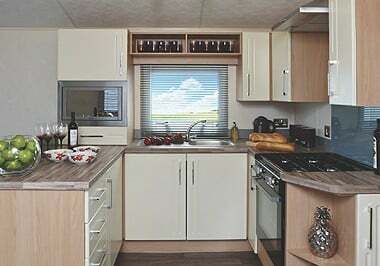 This special edition Willerby Sierra is sited on a cracking south facing pitch at Tayport Links Caravan Park. 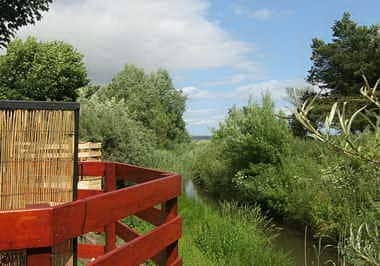 With views overlooking a bay in the river Tay towards Tentsmuir Forest this pitch will also feature a fantastic balcony overhanging a small burn running through the Park. 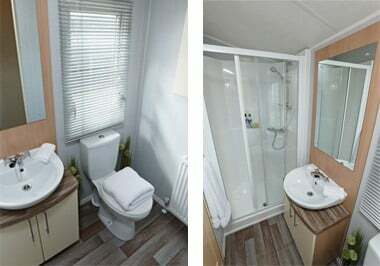 Centrally heated and double glazed this caravan has a fresh, contemporary open-plan interior featuring huge panaromic windows incorporating an outlook door and a large seating area facing the view. The kitchen offers plenty of storage space, with the soft cream cabinets providing a perfect contrast with the wood-effect flooring and worktops. The integrated fridge-freezer links the dining and kitchen spaces together. Accent colour detailing to the padded headboards and curtains in the bedrooms blend with sharp, clean design to create a sophisticated feel. 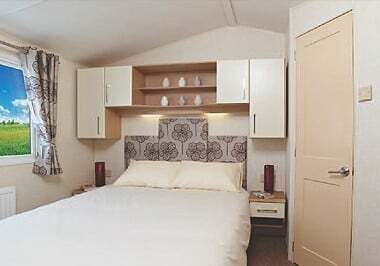 There is also an en-suite for the master bedroom. 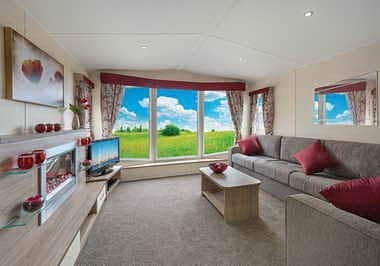 Practicality is the key to the design of this all-new model, offering fantastic accommodation for both families and couples alike.